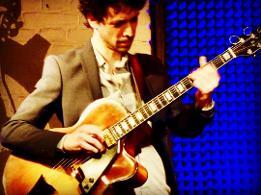 Teaching: Jazz guitar, improvisation, and theory. Teaching at: both at my place or at the students. as vast experience as a sideman with various ensembles. Peter Bernstein, Ofer Ganor, Yuval Cohen, Erez Bar-Noy, Amit Golan. features, repertoire as well as note reading.